Dr. Yoon Soo Park has devoted his life to advancing scientific research, to encouraging international cooperation in the sciences and to enriching the lives of his fellow Koreans and Korean Americans through education, support, community-building and faith. Dr. Yoon Soo Park is a Visiting Scholar at Rensselaer Polytechnic Institute; he is a retired Visiting Professor at Seoul National University and Adjunct Professor at Johns Hopkins University. Prior to theseappointments, he was a Program Director at the Office of Naval Research until his retirement on February 2003 after 40 years of service to the U.S Government. At ONR, he was responsible for initiating, planning and directing broad basic and applied research in the areas of electronic and optoelectronic devices and materials and nanoscience and technology. He is an Elder of the Korean United Methodist Church of Greater Washington and was elected as a delegate to the General Conference of the United Methodist Church in 1996, 2000, and 2004, the first Korean-American in Virginia elected as a delegate to the General Conference. 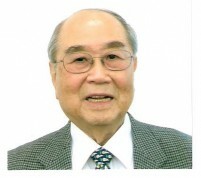 He attended Seoul National University and received his Bachelor of Science in Physics in 1952. He was awarded his Masters in Physics in 1955 from the University of Alberta, Canada, and his Ph.D. in Solid State Physics from the University of Cincinnati in 1963. In 1968/69 he pursued post-doctoral studies at the Technical University of Berlin, serving concurrently as Guest Lecturer. He is a Fellow of the American Physical Society and the Korean Physical Society, and a Senior Member of the Institute of Electrical and Electronics Engineers (IEEE). He and Dju, his wife of 53 years, are proud parents of three daughters: Jeannie, Former Executive Editor of People, Mimi, Creative Art Director of Life, and Lisa, Senior VP of Barney's New York. They have 5 grandchildren.